E-readers are a funny old bread, the pushmepullyou of the tech world. 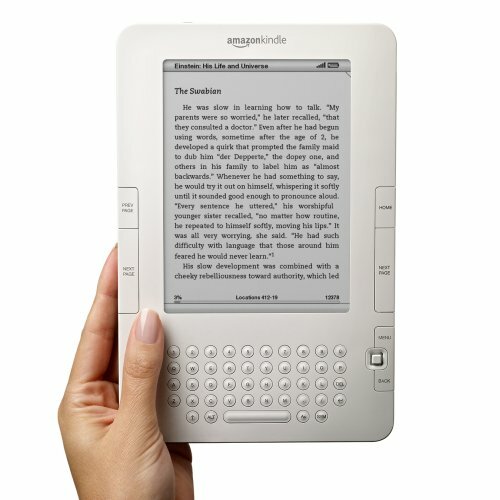 The Kindle 2 was hailed as the breakthrough – the e-reader to get everyone e-reading. But after getting to grips with one myself I found it e-lacking: Its electric-ink screen’s resolution is miserable, and its physical buttons seem at best clunky. It wasn’t as nice an experience as reading a paper book or a newspaper, and with no plans to release it in the UK anytime soon, the Kindle doesn’t look to be the saviour it was hailed as. The Plastic Logic e-reader, which surfaced again at D Conference this week, looks like a big step in the right direction – toward genuine acceptance for the e-reader. Controlled using a touchscreen, the PL Reader is big enough to allow for the reproduction of whole newspaper pages as opposed to the linear appearance of news on the Kindle 2, which to me, still seems like a weird way to read a newspaper. 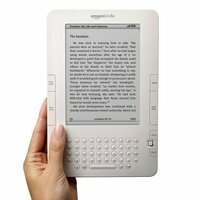 It’s creators, Plastic Logic, say its aimed at the business market, which has lead some to suggest it’ll have limited appeal and won’t replace the Kindle. May I remind them the Blackberry was aimed at the business market and now every errant 12-year-old cousin I have has one. And sadly, that is the true measure of success. It’s on-screen keyboard might be harder to use than Amazon’s QWERTY but you can use a stylus to write on it (and apparently do crosswords – which is oddly exciting), and it’s design is certainly more appealing than the Kindle’s button mince. It’s got WiFi and 3G so connectivity isn’t an issue and with support for Office, PDF, Pages and a host of other files, the Plastic Logic e-reader may be a genuine contender. As long as they can reign in their price-tag which might well be over £400. Scribd, for those of you not familiar with it, is a bit like Youtube, but with words instead of video. Sounds a bit tedious? You’d be right. Finding anything worth reading is frankly a chore. But this week Scribd launched a function that will allow its users to upload a document and charge others to view it. 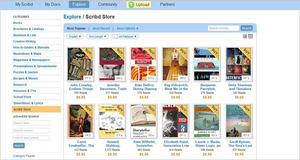 In the new Scribd store, authors will be able to upload document, set their own price and keep 80% of the profit. Users will be able to download copies in PDF for use with the soon-to-be released in the UK, Kindle 2. And, with an iPhone application in the offing, Scribd look to have their bases covered. “One reason publishers are excited to work with us is that they worry that publishing channels are contracting as Amazon and Google are gaining control over the e-book space,” said Jared Friedman, chief technology officer and a founder of Scribd. The announcement comes hot-on-the-heels of Rupert Murdoch’s plans to start charging for access to NewsCorp’s newspaper websites and may mark the start of paid-for web content. “That it is possible to charge for content on the web is obvious from the Wall Street Journal’s experience,” said Murdoch. “The current days of the internet will soon be over,” added the eery media mogul. But rest assured, Techdigest has no plans to start charging its handsome and intelligent readership anytime soon. Yeah that’s right – you guys! What do you think? Do Murdoch’s plans NewsCorp’s web content have legs? Or will you just get your news elsewhere if you have to pay for it? Could this be the rebirth of the newspaper? Let us know in the comments. It was, as everything always is, leaked on the internet a couple of weeks ago, now Amazon’s finally detailed the specs of Kindle 2 – ideal if you’re just starting to get in on the hot new book-reading scene.